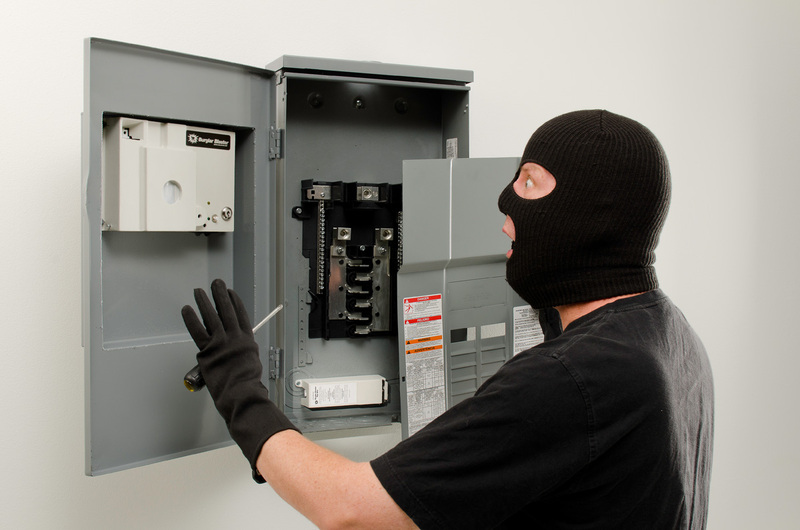 A self contained electronic OC Anti Burglar System – no wiring needed! 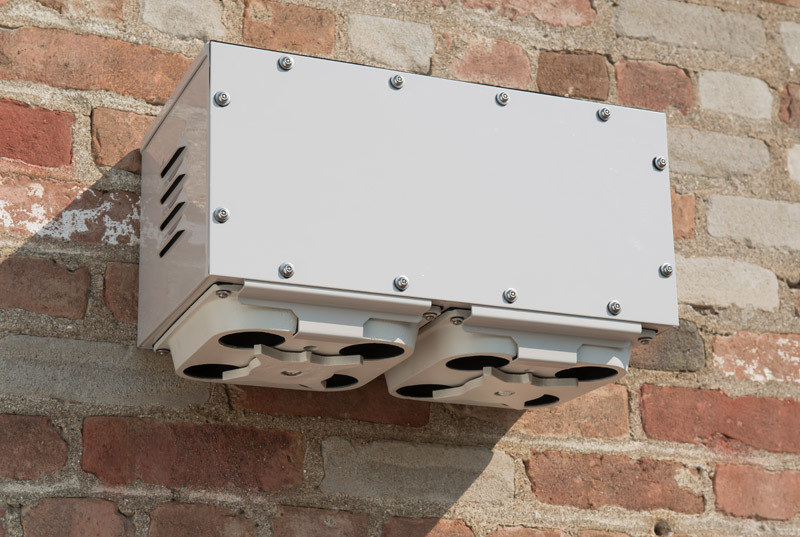 Using a passive infrared detection system, a single Burglar Blaster unit can control areas up to 2,000 square feet. When triggered, the unit releases four ounces of irritating OC pepper spray, to stop an intruder in seconds. 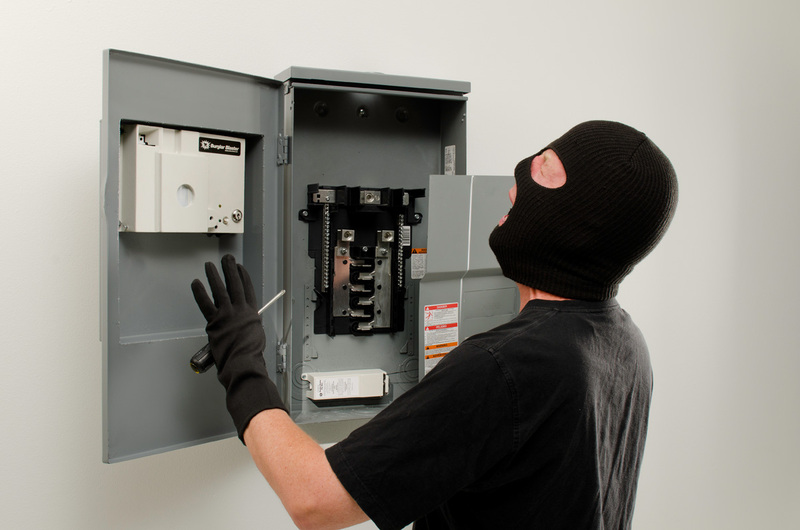 The Burglar Blaster can be installed in minutes with no electrical experience required. • Needs no external wiring and is not affected by power outages. • Operates up to 4 years on a set of “C” cells. • Can be reloaded in seconds without tools. • No clean up required after activation. • Includes both a key switch and a concealed manually-activated on/off switch. • 0-40 seconds entry time delay, easily set by owner with nondirectional, high pitched warning tone to remind forgetful owners to switch the unit off. Impossible for intruders to trace the sound to it’s source. • Housed in a high – strength, cast aluminum/ alloy case. Compact and unobtrusive, can be painted to blend into any setting. 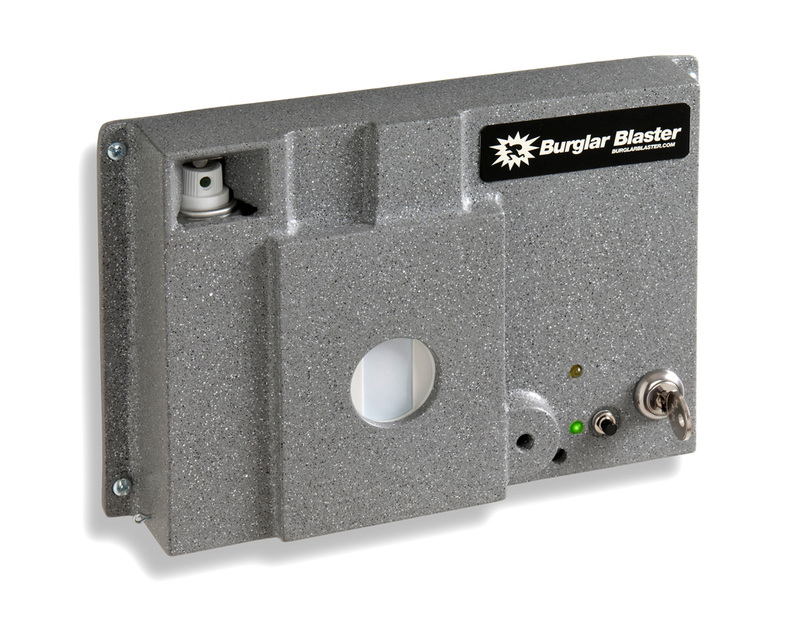 Large area or remote location, the Burglar Blaster Decintegrator ensures your belongings stay there even while you’re not. 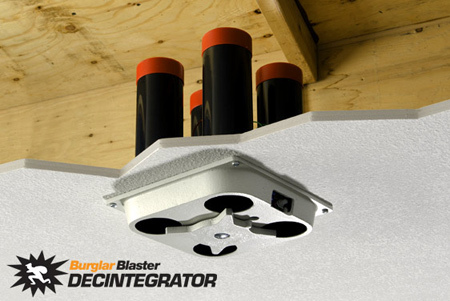 The Burglar Blaster Decintegrator Anti Burglar Device is similar in design to the Repulsar I, but has a larger OC aerosol capacity and greater application flexibility. In simultaneous mode, the Burglar Blaster Decintegrator is set to fire four 6 oz. cans of OC pepper spray at one time, effectively covering up to 1.6 times the area of the Repsular I. 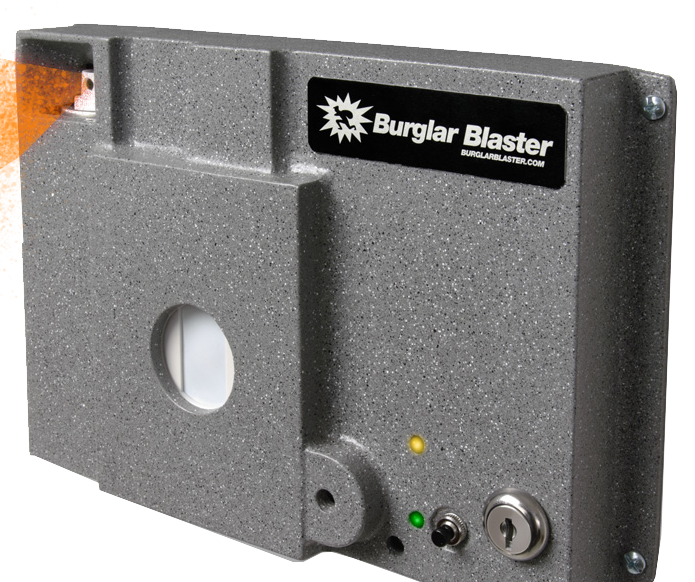 In sequential mode, the Burglar Blaster Decintegrator fires one can and automatically resets to fire the next at the next intrusion, whether hours or months later. This unit is ideal for vacation homes and other isolated buildings. Warning: Not for use in aircraft or automobiles. Compatible with most 12 volt DC alarm systems. 0 – 40 second time delay with built-in warning tone. Can be reloaded in seconds without tools. Terminal block for convenient wiring. Includes: four large capacity 6 oz. OC (pepper) aerosol cans. Built-in electronic memory – remembers which can has fired last and which can is next. Protects up to 4,000 sq. ft. of indoor space. Dual gang decintegrator is designed for large indoor and applications such as cell sites. The unit is enclosed in a weather tight enclosure designed to handle extreme weather conditions such as rain and heat. Low cost burglar protection that stops the crime! 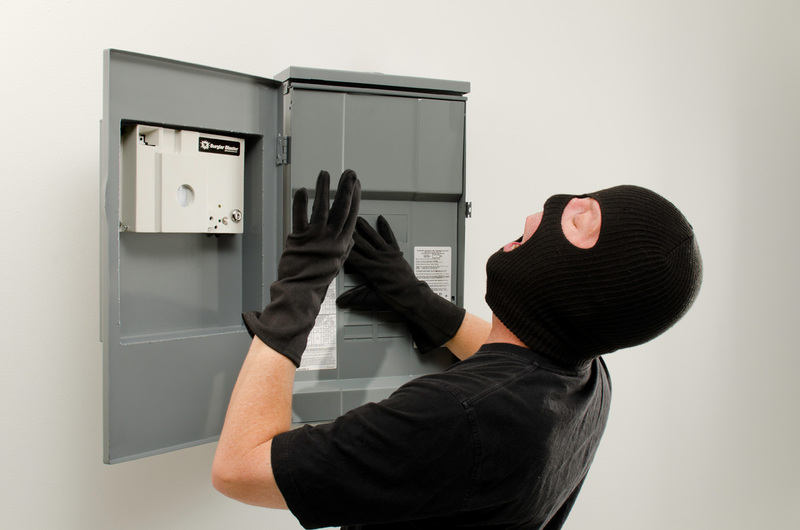 Don’t trust a home alarm system! You need more protection than just a loud noise. Now you can have protection that really stops a burglar. When triggered by its trip line, the Burglar Blaster Tripwire will discharge 4 ounces of irritating OC pepper spray aerosol, causing an intruder to flee in a matter of seconds. 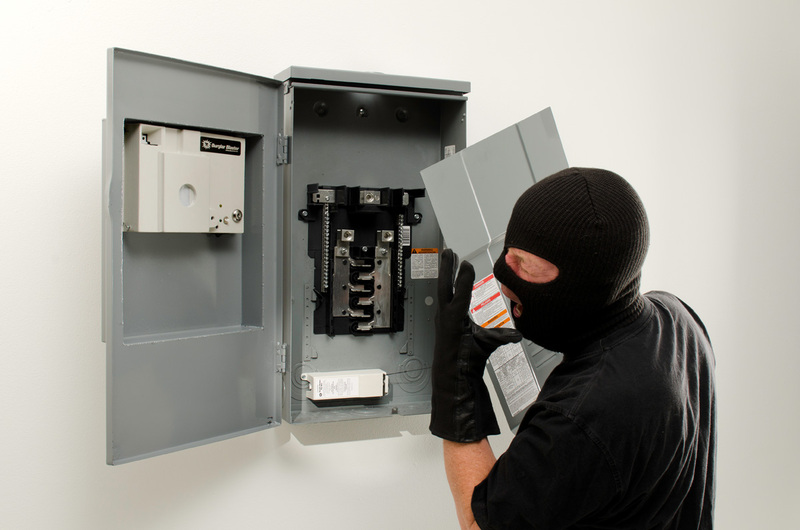 Quickly and easily installed, theBurglar Blaster Tripwire provides a level of protection unmatched by any alarm security system at any price. 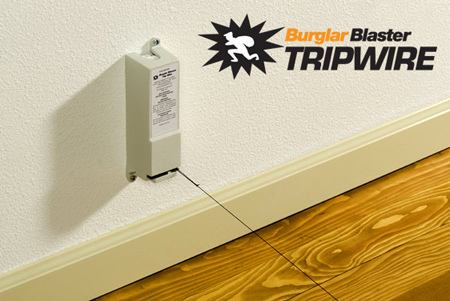 The Burglar Blaster Tripwire makes burglars wish they never thought of ripping you off! Warning: Not for use in aircraft or automobiles. Safety pin that prevents accidental discharges. Fast acting irritating aerosol is harmless to interior furnishings. Complete and ready to use. – everything included. Protects up to 2,000 sq. ft. of indoor space.